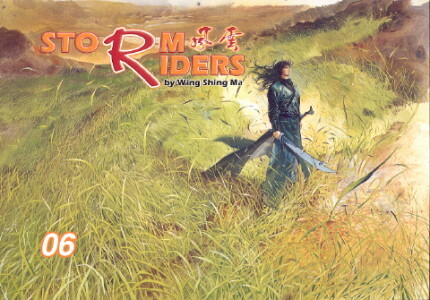 The Storm Riders love triangle takes a turn for the tragic while the warriors' cycle of vengeance begins to spin out of control. Wounded badly and near death, Kong-Chi reveals her "true" love. It seems that her marriage to Frost and her affair with Cloud was a ruse. Cloud is shocked by the truth, because his love for her was real. Meanwhile, determined to take revenge for his brother's murder, Sword Saint prepares for his duel with Conquer, but first his sword skill is tested by Nameless's young disciple. All this and the return of the Flame Kylin Sword!